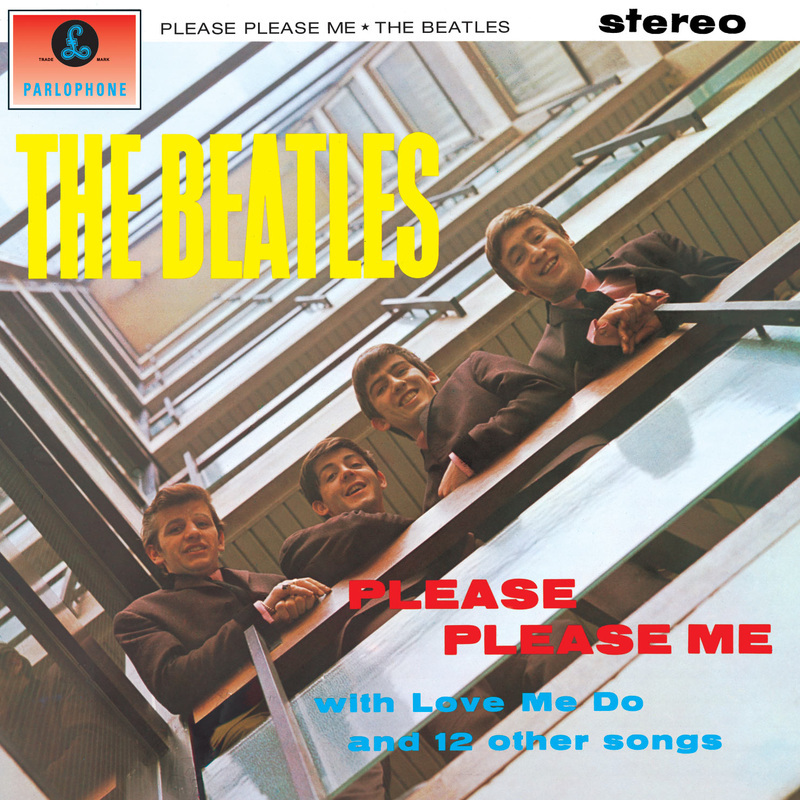 The Beatles Please Please Me album was rush-released by Parlophone on 22nd March, 1963 to capitalise on the enormous success of the title track which had been the group's second single and their first no. 1 in the majority of UK charts. First copies have gold and black Parlophone label (Only 900 copies reported to have been pressed) but it soon switched to yellow and black. The iconic front cover shot was taken at the headquarters of EMI at 20 Manchester Square in London's West End in early 1963 by Angus McBean. EMI remained in the building until 1995 before moving to West London taking the famous balcony railing with them.